GWTT installed a sub-slab depressurization system in and actively operating 1-million-square-foot facility that was plagued with sub-slab soil vapor containing chlorinated solvents (PCE & TCE) for mitigation. We furnished and installed all treatment equipment. The piping network included 4-inch to 20-inch diameter schedule 10 hot dipped galvanized piping. 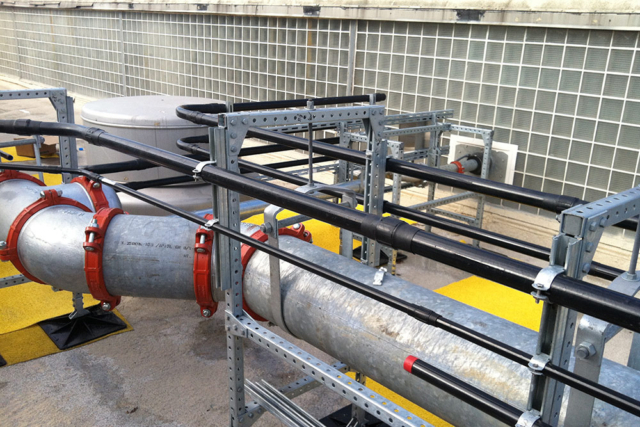 The main header was installed below ground from the treatment system (route to roof, spanned across to secondary headers and tied into building points). All above grade piping was heat traced and insulated. 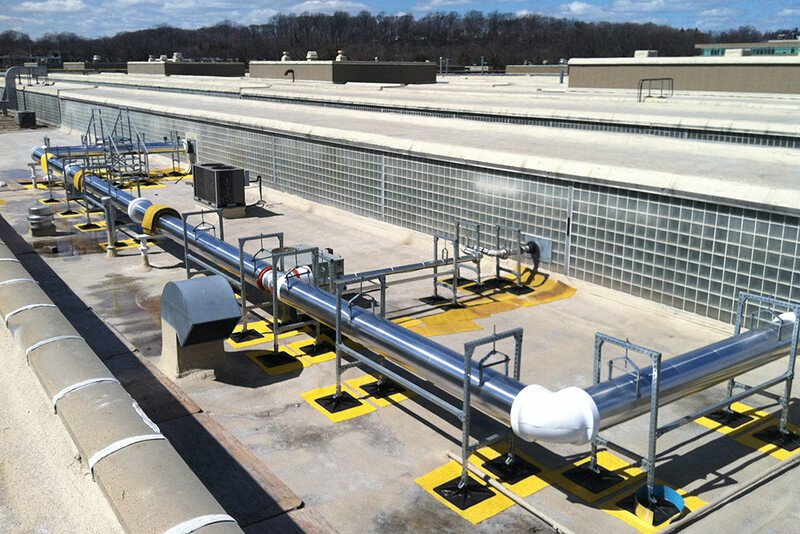 (2) 10,000-lb vapor phase granular activated carbon units to treat captured vapors. 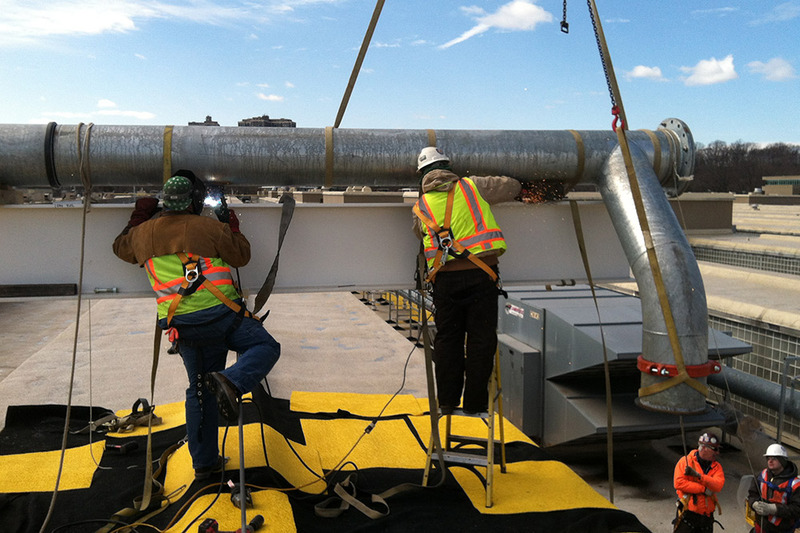 Chiller and Heat Exchanger capable of 90-degree temperature drop at normal operating range. 2,500-gallon dual contained condensate storage. Uninterruptable power supply and backup generator to provide continued operation during power failure events. GWTT modified the existing active facility’s structural and architectural features to serve as the treatment facility, including roof curbs, secondary containment, access ramps, generator, electric and blower rooms, roofing, HVAC, electrical systems, and fire suppression and alarming. 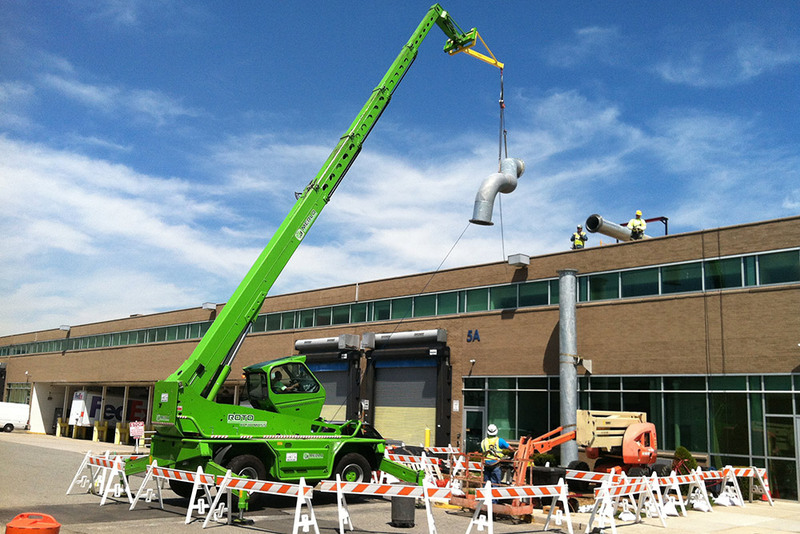 Additionally, we furnished and installed a 2400-volt electrical sub-station to control system power, including 250-kilowatt standby generator. We also provided and installed all power and control circuits throughout the treatment facility and to remote system extraction points. The project included installation of a Supervisory Control and Data Acquisition (SCADA) in treatment system control room for fully automated operation of the system. 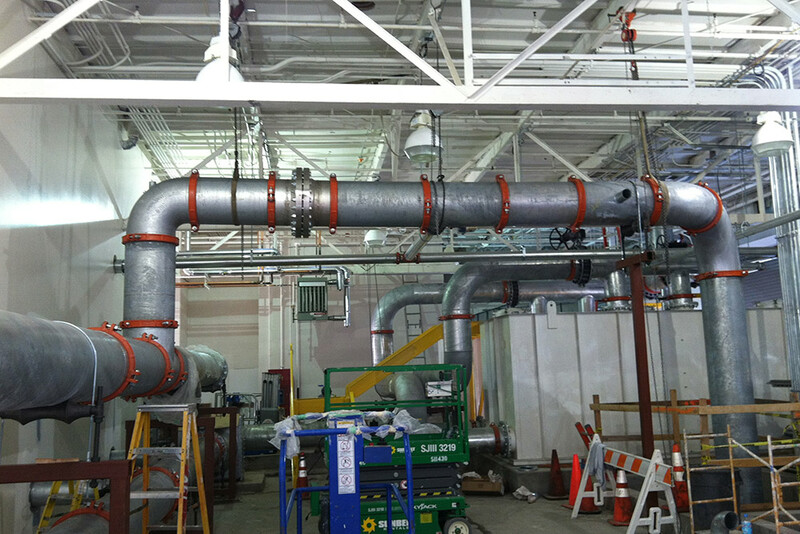 During the project, we integrated previously completed work (extraction points, interior piping, and electrical) with new installation work. After successful completion of the project work and system startup, GWTT’s O&M team took over operation and maintenance of the treatment system.